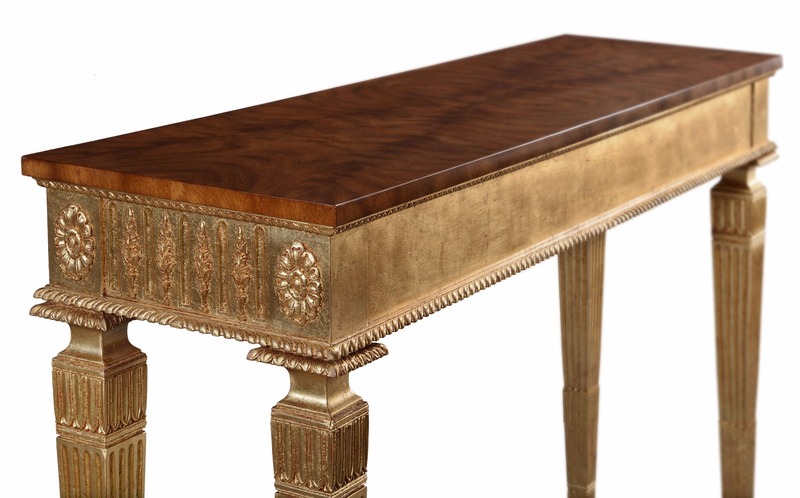 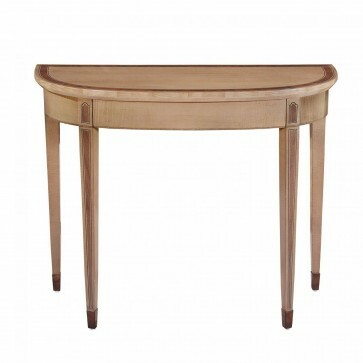 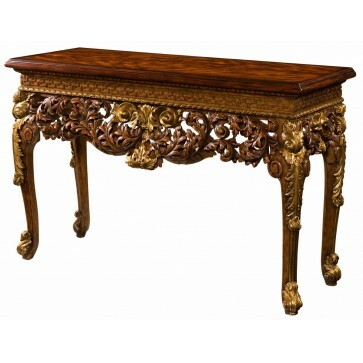 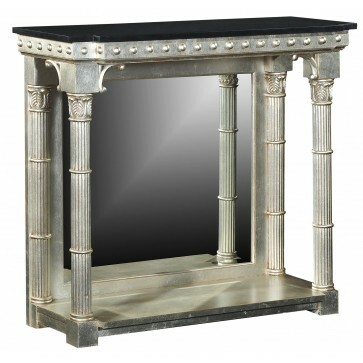 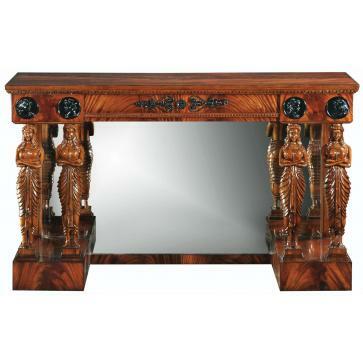 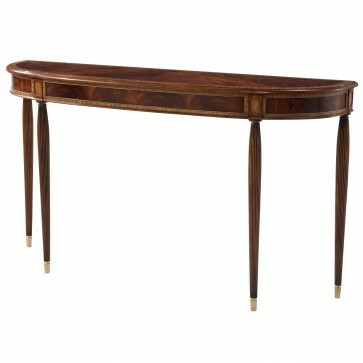 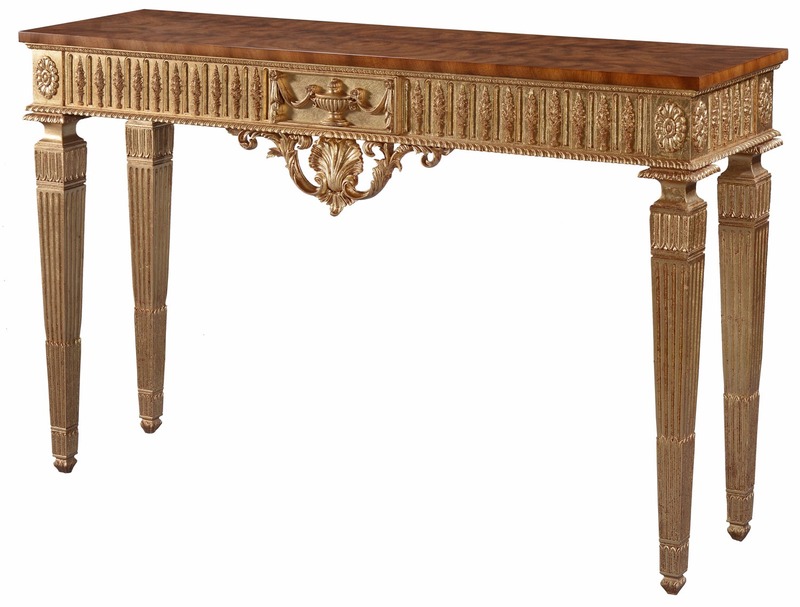 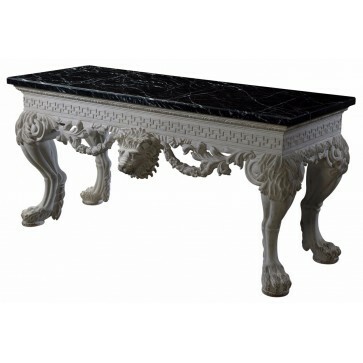 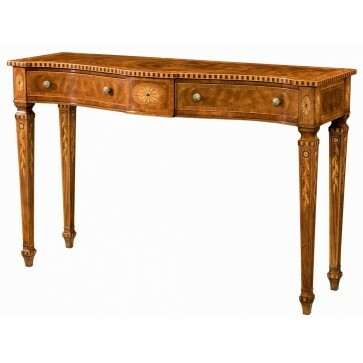 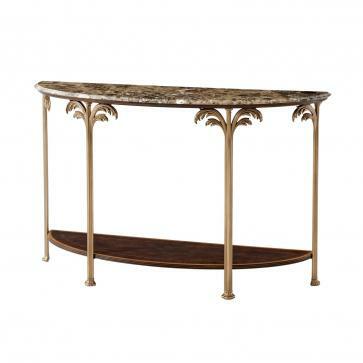 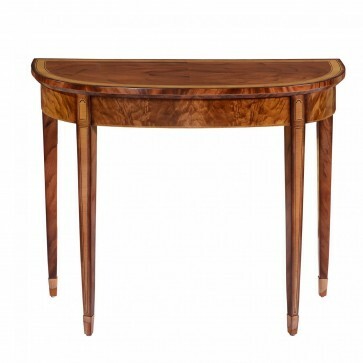 A console table inspired by an important antique in our family archives. 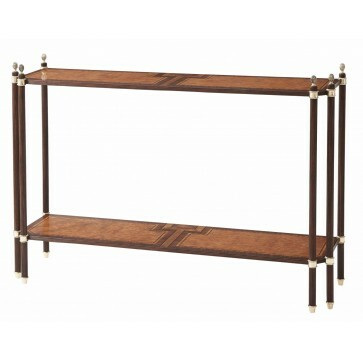 The cerejeira veneers for the top are hand selected and carefully matched to create a mirrored pattern. 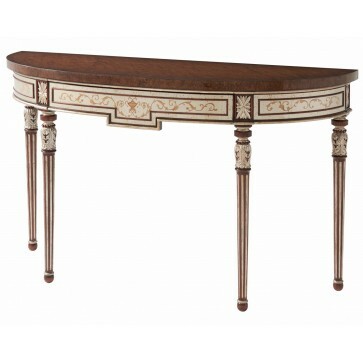 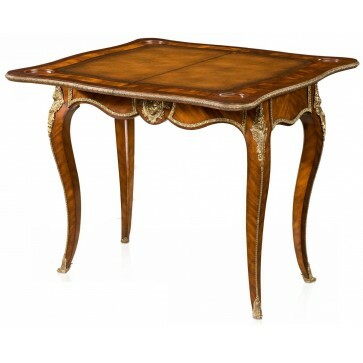 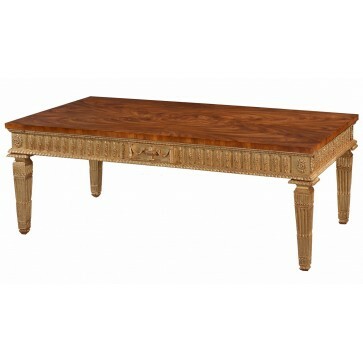 The solid mahogany base is oil gilded using dutch metal over a red foundation and lightly distressed to an antique patina. 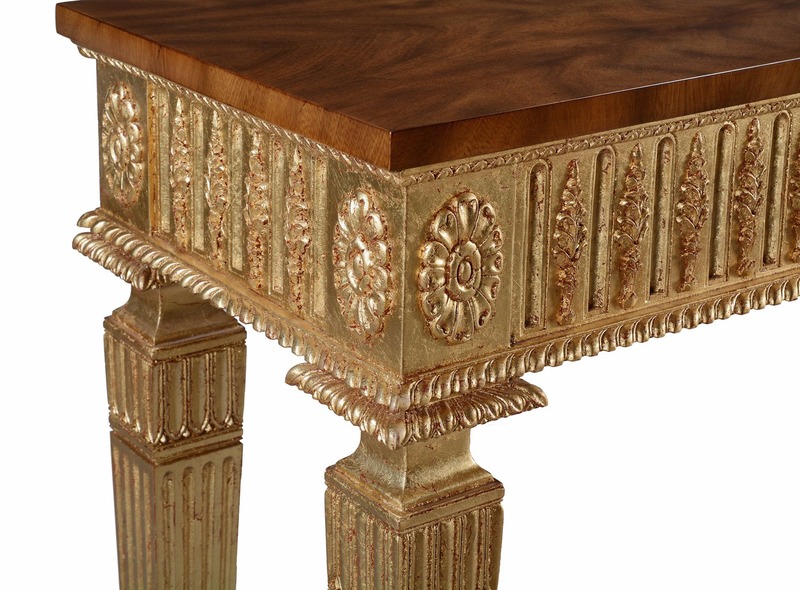 Individually hand carved leaves are applied to the front and side rails, along with a central panel featuring an urn with swag and tails, with egg and dart pattern above and gadrooned edge below. 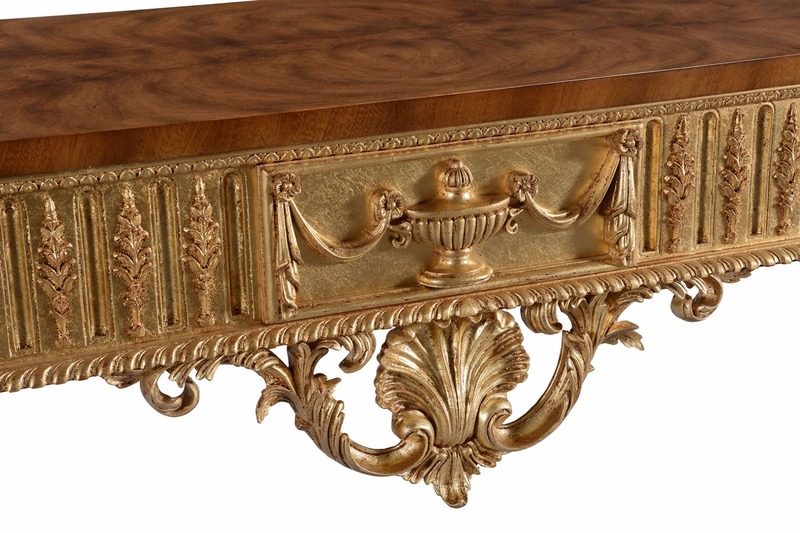 Further hand carved acanthus leaves with central shell-leaf adorn the underside. 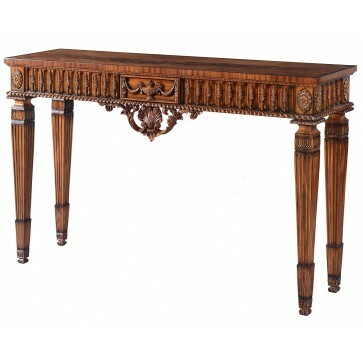 The legs are also hand carved with flowerhead motits on the leg blocks above, and the back finished to the same quality throughout.